/ REIT Or Real Estate – Better Option For Passive Income? REIT Or Real Estate – Better Option For Passive Income? Passive income is income derived from assets or sources which require very little maintenance work or for that matter very little involvement. For example interest on your savings account, yield from a bond which you purchased, or stock dividends all fall in the category of passive income. It is generally a preferred income category for both working and retired individuals. It is always better to get some form of return on your cash deposits than allow it to be depleted through depreciation. Passive income options depend on several factors and preference of returns and risk although there are several instruments which are used for securing passive income here we will examine the possibility of earning passive income from real estate investment trusts (REIT) and the recently introduced concept of real estate crowdfunding. 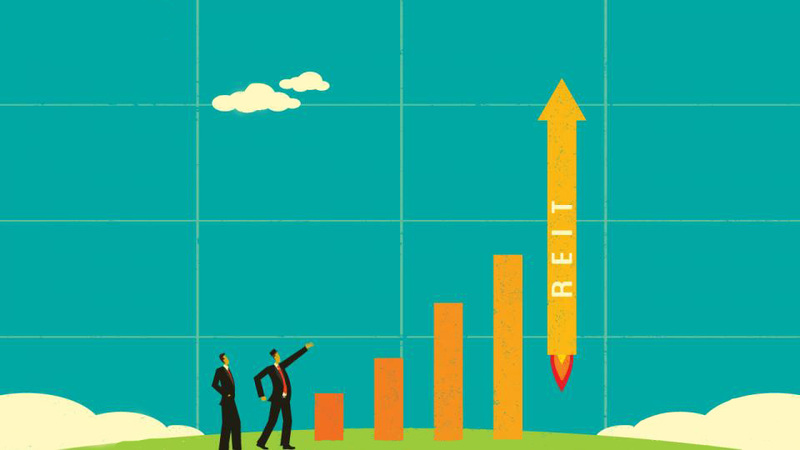 Real estate investment trust commonly known as REIT, is an instrument which invests in real estate on behalf of their investors, REIT is traded on almost all major stock exchanges and purchasing a REIT is similar to purchasing a stock. Investors earn return from REIT which is derived from their value in the asset; this can be through rental income, capital gain or combination of the two. Real estate crowdfunding is similar to REIT; however unlike purchasing REIT through an intermediary usually a stockbroker, real estate crowd funding is done directly through an online platform. These platforms have projects which have been pre- screened and made available for an average investor and are usually referred to as “listings” they contain all the relevant financial terms and conditions along with background information and history of the sponsor. Sponsor is an individual or company that has made the listing available and is trying to raise funds for their project. Information which is made available for the purpose of due-diligence of the investor also includes the “holding period” which is the time-span for which the investment is locked. During the term of the investment or the holding period investors receive annual returns on their investments and when the holding period is complete investors receive pre-defined profitability rates or capital gain on their investment. Returns from real estate crowdfunding are higher than REIT. If we take the weighted average of the Top Ten REIT companies listed on S&P Composite Index , average annual yield comes to around 6.8% excluding any taxes, on the contrary average returns on real estate crowd funding is between 12%-14%. Price of a REIT is determined on movements in the stock market, there is no guarantee of any profitability as well and you have a chance to receive a negative yield if investments that a particular REIT has made do not materialize. Real estate crowdfunding allows you to make more informed decisions when it comes to real estate investments. You can evaluate the project and decide for yourself the type of investment which suits you, on the other hand REIT investment decisions are made by their managers and REIT holders have no control over them. The trend of real estate crowdfunding has forced new regulations and guidelines with the aim to bring a legal framework to the industry. This has enabled very strong growth in the sector with total money raised through real estate crowdfunding platforms rising by an average of 67% annually. Investors are particularly keen for short-term debt deals through these platforms, which gives them a good return as and they get their money back in a matter of a few months, yet equity crowd funding deals where investors have the option to partially own shares in the project are still extremely popular, these deals are a very good option to generate stable passive income and are now a prevalent component of the portfolio of many real estate crowdfunding investors. Overall based on total return, price volatility and control over investment real estate crowd funding is a better option for passive income compared to REIT and while REIT has a long history spanning decades, real estate crowdfunding is a more recent phenomenon and although it will take some time before it hits the big numbers associated with REIT, crowdfunding in real estate is definitely on its way of being there.